Rockies GM Jeff Bridich largely declined an opportunity to discuss the state of the team’s contract talks with star third baseman Nolan Arenado, as MLB.com’s Thomas Harding writes. Bridich says the club is content to “keep things under wraps, under our hat for now” as it continues to try to work out a 2019 salary — and, perhaps, a long-term deal — with the club’s top player. The general manager did say that the Rox will not “set any deadlines or ultimatums,” though that comment may relate more to the still-unresolved arbitration case than extension talks. Arenado and the team still need to bridge a $6MM gap to stave off a hearing, as he filed at $30MM against the team’s $24MM submission. It’s still anyone’s guess whether there’ll be any real traction in discussions on a lengthier accord, but it’ll unquestionably cost a pretty penny to get the 27-year-old to forego a chance at testing the open market next winter. Also from Harding’s piece, Bridich stated that the Rockies “haven’t been overly aggressive” in the outfield market. Fans hoping for a reunion with Matt Holliday will be disheartened to see that the GM characterized the franchise icon as a tougher fit on the current roster than he was when he was signed late in the 2018 season and enjoyed a brief comeback tour. Presently, Charlie Blackmon and David Dahl look like locks for regular outfield work. Ian Desmond, Raimel Tapia and Noel Cuevas will also slot in around the outfield, though Cuevas has options remaining, so it seems conceivable that the Rox could make a move if a palatable bargain presents itself. There are “indications” that the Diamondbacks plan to utilize newly signed Wilmer Flores as their second baseman in 2019, writes Nick Piecoro of the Arizona Republic. Doing so would allow them to shift Ketel Marte to the outfield as their new primary center fielder. It’d be an unfamiliar position for Marte, but the move is something that’s been discussed for some time now. (The Athletic’s Zach Buchanan noted as much all the way back in October). As Piecoro notes, the D-backs’ defensive alignment figures to look quite a bit different; Jake Lamb is slated to move across the diamond to first base following the trade of Paul Goldschmidt, with Eduardo Escobar slotting in as the primary third baseman. Nick Ahmed (shortstop), Flores (second base) and Marte (center field) could line up on the middle of the diamond, with David Peralta and Steven Souza Jr. flanking Marte in center. The Giants may use the “opener” strategy at times in 2019 but won’t be among the league’s most aggressive teams with it, writes Henry Schulman of the San Francisco Chronicle. Madison Bumgarner, Derek Holland and Jeff Samardzija will all be treated as traditional starters, though Schulman notes that president of baseball ops Farhan Zaidi has recently expressed a desire to manage the workloads of younger arms like Dereck Rodriguez and Andrew Suarez “for their future and for ours.” Schulman’s column explores multiple avenues to achieving that goal and features multiple quotes from Zaidi and skipper Bruce Bochy on the pitching staff that Giants fans will surely want to check out in full. Schulman also reiterates that it’s still possible the Giants could explore trades of either Will Smith or Tony Watson as they seek additional rotation and outfield options. Both lefty relievers can become free agents next offseason. The Angels are evidently a team to watch on Giants southpaws Will Smith and Tony Watson, as Andrew Baggarly of The Athletic reports that the teams “have been in constant contact this winter” regarding both pitchers (subscription link). It’s not surprising to see the Halos chasing lefties, as their current staff is quite thin in that area. Whether or not the club will offer up enough to entice the Giants remains to be seen. The San Francisco org is surely willing to deal either or both of these veteran relievers, each of whom is coming off of a strong season with an appealing contract situation, but there figures to be ample interest from other teams as well. With many of the best free agent relievers already off the board, now may be the time for new Giants president of baseball operations Farhan Zaidi to market his southpaws in earnest. Likewise, the White Sox are still interested in filling out their rotation, GM Rick Hahn told reporters including Bruce Levine of 670thescore.com (Twitter link). While the veteran exec emphasized that the organization still sees Manny Banuelos and Dylan Covey as possibilities, he indicated that depth remains a consideration. Needless to say, neither of those pitchers has established himself as a reliable MLB starter to this point, so it’s unsurprising to hear that the South Siders are still flipping through some external targets. Veteran first baseman Adrian Gonzalez is readying for a showcase in the coming days, Jon Heyman of Fancred reports on Twitter. He’s said to be in “excellent shape,” though teams will surely remain a bit skeptical after two consecutive unproductive campaigns. The 36-year-old Gonzalez was long one of the game’s most respected hitters, of course, but it’s tough to imagine him securing a MLB roster spot on the open market at this stage. Still, there should be some teams with bench bat needs that would be glad to give Gonzalez a shot to show what he’s got left in camp. Though Craig Kimbrel was at one point said to be seeking a six-year contract worth as much as $100MM, Fancred’s Jon Heyman writes in his latest notes column that the asking price on Kimbrel has come down a bit. Kimbrel’s camp, however, is still eyeing a contract along the lines of the $86MM and $80MM contracts signed by Aroldis Chapman and Kenley Jansen two offseasons ago. Given Kimbrel’s track record of elite performance, it’s not exactly surprising to see him aiming for a potentially record-setting deal, though it’s important to note that both Chapman and Jansen were younger than Kimbrel when signing those deals more than two years ago. Kimbrel is only three months younger than Chapman and eight months younger than Jansen, which will likely make it difficult for him to secure a contract of that length and total guarantee. The market for Kimbrel remains somewhat undefined, though the Red Sox have some degree of interest in retaining him; Mark Feinsand of MLB.com tweets that Boston is waiting to see what happens with Kimbrel before taking action on the relief market. Heyman, however, notes that the current asking price is still deemed too high by the Red Sox front office. Heyman notes that the Red Sox also have interest in David Robertson, though their preference would be to limit a Robertson signing to two years, while the veteran righty is believed to be aiming for a three-year pact. Robertson, 34 in April, is representing himself in free agency this winter and has been connected to both the Dodgers and Mets in recent weeks. Robertson, who has split his career between the Yankees and White Sox, has pitched at least 60 innings and made at least 60 appearances in each of the past nine seasons and is fresh off a 3.23 ERA with 11.8 K/9 against 3.4 BB/9 in 69 2/3 innings in 2018. With Andrew Miller reportedly on the verge of a contract with the Cardinals, Matt Gelb of The Athletic tweets that the Phillies’ search for a left-handed reliever in free agency could be down to “Zach Britton or bust,” noting that Britton has numerous teams with serious interest in his services. The Phils were in on both Miller and Britton, with NBC Sports Philadelphia’s Jim Salisbury reporting last week that the team was “strongly” in the mix for Miller. Britton is, of course, quite familiar to Phillies brass, as president Andy MacPhail, GM Matt Klentak and assistant GM Ned Rice were all in the Orioles’ front office when Britton was drafted and developed. The trade market could certainly present alternatives, though there’s no one with the track record of either Miller or Britton known to be available. Alex Pavlovic of NBC Sports Bay Area tweets that Miller’s impending deal with the Cardinals will have ramifications for the Giants as well. San Francisco has been waiting for Miller, Britton and others to sign before marketing their own left-handed relievers (i.e. Will Smith, Tony Watson). There are numerous hopeful contenders in need of left-handed relief help, and both Smith and Watson are coming off strong 2018 showings. Smith, projected by MLBTR contributor Matt Swartz to earn $4.1MM in 2019, will be a free agent again next offseason. Watson, meanwhile, is signed to a guaranteed $3.5MM salary for the 2019 season and is owed at least a $500K buyout on a player option for the 2020 season. Of course, if Watson replicates his excellent 2018 production, he’ll surely turn down that option in favor of a return to free agency. And, if he struggles through a poor season or is injured, he’ll quite likely take that option for the 2020 campaign. The Cardinals are among the many teams pressing the Giants with interest in southpaw Will Smith, according to Mark Saxon of The Athletic (Twitter link). Another San Francisco lefty, Tony Watson, appears to be of secondary interest to the Cards, Derrick Goold of the St. Louis Post-Dispatch tweets. Goold notes that the St. Louis club is interested in swapping slugger Jose Martinez for a lefty reliever, though it’s fair to wonder whether he’d be of much interest to the Giants. There’s at least some preliminary interest from the Reds in southpaw Wade Miley, per MLB.com’s Jon Morosi (Twitter link). Given the Cincinnati organization’s need for significant rotation help, and its recent hiring of former Brewers pitching coach Derek Johnson, it’s not particularly surprising to hear of this link. It’ll be interesting to see what kind of deal the 32-year-old Miley is ultimately able to secure after an odd 2018 campaign in which he worked through injury to compile 80 2/3 innings of 2.57 ERA ball. He managed only 5.6 K/9 and 3.0 BB/9 on the year, though did sport a healthy 52.8% groundball rate while allowing a stingy (but perhaps not sustainable) 0.33 homers per nine. Pitching appears to be a key focus of the Blue Jays this winter, with the club occupying a potentially interesting place in the market. Ben Nicholson-Smith of Sportsnet.ca reports that the Toronto ballclub is considering players that’d require multi-year commitments as well as bounceback types. But GM Ross Atkins emphasizes that the club won’t be “looking for free-agent pieces with the goal of trading them,” though of course future dealmaking would always be a possibility. Meanwhile, as Sportsnet’s Shi Davidi explores, Atkins evinced an increasing openness to weighing deals for existing starters Marcus Stroman and Aaron Sanchez in his most recent comments. While the team’s own valuation of the two talented-but-uncertain hurlers has surely not changed, Atkins suggests that rivals have shown sufficient interest that it’s worth further exploring trade scenarios. Whether any deal will come together isn’t clear, but it does seem evident that the Toronto club has gained clarity on the demand for these pitchers and that, as Davidi puts it, there’s at least a realistic path to trade outcomes. Yankees GM Brian Cashman indicated yesterday that his club is taking a look at Japanese southpaw Yusei Kikuchi, as MLB.com’s Bryan Hoch reports. The New York powerhouse is presently engaged on other players, via trade and free agency, but Cashman says that Kikuchi is “somebody that’s worthy of having conversations about potentially landing.” Having taken a long scouting look at Kikuchi already, the Yanks surely have a price point in mind. Cashman says the team will continue to stay “very active, but disciplined” in its pursuit of pitching. The Mariners are another clear possibility for Kikuchi, as TJ Cotterill of the Tacoma News Tribune reports. Seattle GM Jerry Dipoto made clear that the club both holds the Japanese hurler in high regard, calling him a “very good” starter, and is interested in trying to work out a deal. While they are taking a step back in the near-term, the M’s feel the 27-year-old “does fit our timeline,” per Dipoto. It seems there’s at least some interest around the game in Orioles righty Alex Cobb, as Roch Kubatko of MASNsports.com reports. While his early showing in Baltimore was simply brutal, Cobb did turn things around in the second half, when he held opposing hitters to a .232/.288/.377 slash and carried a 2.56 ERA in 59 2/3 innings. Of course, the $43MM still owed Cobb over the next three seasons presents quite a barrier to a deal. The Red Sox asked the Giants about lefties Tony Watson and Will Smith, tweets Sean McAdam of BostonSportsJournal.com, but San Francisco is unsure about selling off those controllable assets. Though the Giants’ playoff chances appear remote, they are five games out in the Wild Card chase, close enough to stand pat. Watson, 33, inked a two-year, $9MM free agent deal with the Giants in February, which also includes a player option for 2020. He’s in the midst of his finest season in several years. Smith, 29, has emerged as the Giants’ closer and has been dominant since returning from March 2017 Tommy John surgery. He’ll be arbitration eligible one last time for the 2019 season before reaching free agency. Boston has also been linked to Marlins sidearmer Brad Ziegler, most recently by Jon Heyman of Fancred this morning. Ziegler seems likely to be dealt today; catch up on his rumor mill here. FEBRUARY 19: Watson is officially a member of the Giants. He will earn $3MM in 2018 and $3.5MM in 2019 before considering a $2.5MM player option ($500K buyout) for 2020, per Bob Nightengale of USA Today (Twitter link). 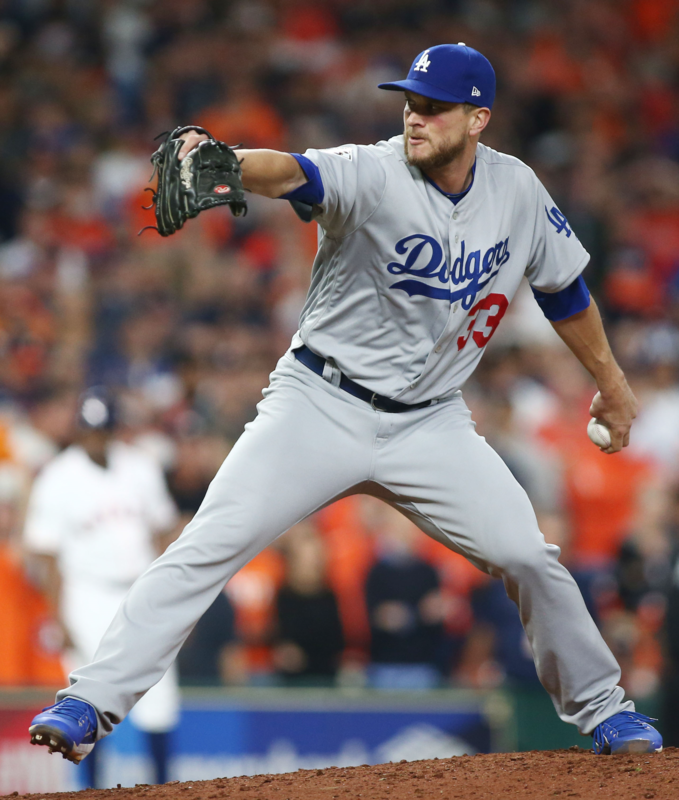 FEBRUARY 17: The Giants have reportedly agreed to a two-year deal with free-agent lefty Tony Watson that includes a player option for a third season. Watson is represented by the Boras Corporation. Watson receives a $9MM guarantee, but it’s far from certain that he’ll end up earning precisely that amount. His total earnings could increase to $14MM over two years or $21MM for three years, depending on escalators and performance bonuses. Of course, Watson could also elect to return to the open market and leave some of the guaranteed money on the table. The complicated structure will allow the Giants to stay shy of the luxury line, at least for the time being. Despite having had only limited availability at this stage of the winter, the San Francisco organization was able to fit another veteran piece as they seek to engineer a dramatic turnaround from a ghastly 2017 performance. Watson, who’ll turn 33 at the end of May, has long been a productive late-inning reliever, though he has also long outperformed his peripherals. It seemed he was fading a bit during a less-than-stellar first half of the 2017 season with the Pirates. But Watson finished strong after being dealt to the Dodgers and ended 2017 with a 3.38 ERA over 66 2/3 frames. Rather remarkably, that quality run prevention effort matched the worst full-season earned run average of Watson’s career. Over his seven campaigns and 453 innings in the majors, Watson carries an excellent 2.68 ERA with 7.9 K/9 and 2.5 BB/9. He also has ample late-inning experience, including thirty saves. Watson got much better results after changing uniforms, though it’s not crystal clear just what changed. He tweaked his horizontal release point, shifted toward his two-seamer and away from his slider, and started working higher in the zone with his fastballs. The bottom line remains that he brings 94 mph and a ~12% swinging-strike rate from the left side. Regardless, the main question probably remains whether skipper Bruce Bochy will deploy Watson more as a general setup man in front of former Pittsburgh teammate Mark Melancon, or whether instead he’ll use the southpaw in a more targeted fashion against opposing lefties. Righties tagged Watson for a .271/.348/.460 slash last year and have long found greater success against him than their left-handed-hitting counterparts. Jon Heyman and Robert Murray Fan Rag reported the signing (Twitter link). Andrew Baggarly of The Athletic tweeted the structure, while Jerry Crasnick of ESPN.com had the guarantee (via Twitter). 11:33am: San Francisco isn’t the only team in the mix, per Jon Heyman of Fan Rag, who tweets that the Phillies, Red Sox, and unstated other teams are also still involved. 10:20am: The Giants are engaged in “serious contract talks” with southpaw reliever Tony Watson, according to Bob Nightengale of USA Today Sports (via Twitter). It is not clear at this time what sort of contractual terms the sides are contemplating, but Watson is clearly the best lefty pen piece still unsigned at this stage. This is certainly an interesting bit of news, due largely to San Francisco’s closely watched effort to improve while staying shy of the competitive balance tax line. Recent tabulations have suggested the team is only $2MM or so beneath the $197MM threshold at present, leaving little room for a player of Watson’s anticipated price. If the Giants were to accept the luxury tax for the 2018 season, it’s at least fair to wonder whether they’d plan to go further over the line to add other players. On the other hand, part of the team’s strategy could be to engineer a mid-season sell-off to get back below the line if things don’t go quite as hoped. As things stand, the Giants’ depth chart features Steven Okert as the top southpaw on hand. Josh Osich and D.J. Snelten also represent 40-man options, with recent minor-league signee Derek Holland perhaps also factoring in the mix if he cannot earn a rotation slot. San Francisco will ultimately hope for a bounce back from Will Smith, who is looking to return from a Tommy John procedure that was performed just before the start of the 2017 season, but clearly there’s some room for improvement. Entering the winter, Watson was tabbed as the 44th-best free agent in MLBTR’s ranking of the top 50 open-market players. We guessed the 32-year-old could command $12MM in total guaranteed money over two years. While he has plenty of general late-inning experience, our assessment was that he’d be pursued (and paid) more as a quality lefty specialist. Watson, after all, has long been much more effective against opposing lefties.